Any garnish you can cook meat, fried with onions. Serve it with potato or pea mash, fresh vegetables, rice, buckwheat, pasta. And it always will be a hearty and tasty dish. How to fry meat with onions so that it is juicy and delicious? 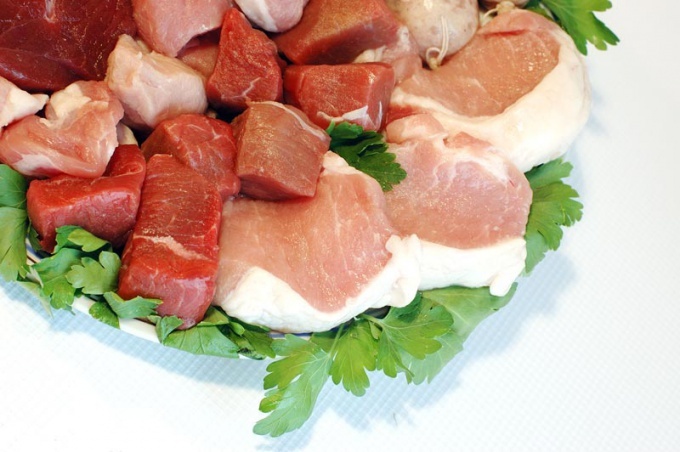 Take pork meat without bones, wash it under cold running water. Cut the meat into small pieces. Put it in a saucepan. Peel the onion. For this dish the onions should be plenty. Slice the onion into half rings. Place the sliced onions in the pot with the meat. Mix everything together with your hands, lightly rubbing the meat with onions. Salt contents of the pan. Sprinkle meat and onion with spices for pork. Add the Bay leaf, broken into pieces. Put in a pot of mayonnaise and mix well. Cover pot and refrigerate for 2-3 hours to marinate meat. Over high heat in a frying pan, heat the vegetable oil. Put meat with onions into the pan. Reduce heat to simmer. Cook the meat over medium heat until light Golden brown, stirring occasionally. Pour into the pan 0.5 cups of hot water once the meat is covered with a ruddy crust. Bring to a boil, stir. Close the pan with a lid and simmer the meat until tender. Put the meat on a plate, next put a side dish. Serve hot. When roasting, it is important not to overdry meat. If the meat is chopped very finely, with the appearance of Golden brown it is ready, the 9 step instructions are not required. Pouring water into the pan with the meat, it's really hot hot steam! Instead of pork for this dish, you can use beef or chicken.